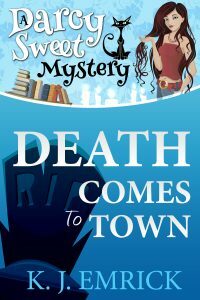 Darcy Sweet is connected with the spirit world, and the connection often puts her in weird spots. When Darcy finds her neighbor’s body, she is pulled into the search for the culprit. But will she live to see the killer apprehended?